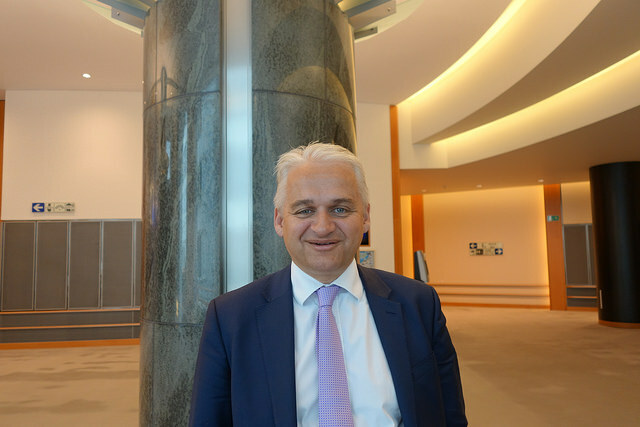 UK Independence Party MEP Patrick O’Flynn is a poacher-turned-gamekeeper, a former political journalist for the Daily Express, turned MEP for UKIP. euractiv.com’s Matthew Tempest spoke to O’Flynn in the European Parliament about how he’s campaigning to put himself out of a job in the Brexit referendum. You’ve just come directly from Gordon Brown’s speech in the European Parliament. What did you make of it? I don’t think there was anything unexpected in there, really. He was making a “progressive” case that countries are better cooperating and doing things together than going alone – but the idea of Britain going alone is a complete strawman. Former UK Prime Minister Gordon Brown today (25 May) called for European cash for towns and cities struggling to cope with the refugee crisis, in a bid to convince 14 million undecided Brexit referendum voters to back staying in the EU. We’re linked to so many different international bodies and no one is saying we wouldn’t seek to cooperate with our neighbours on important political issues. I was frustrated no one really pinned him down on what he thinks of the eurozone now, what he thinks of the euro as an entity, as the main economic policy of the EU, given that he was cautious about Britain joining the euro. Does he now think that the euro is not viable, given the horrendous unemployment rates and the lack of growth over its entire decade and a half? 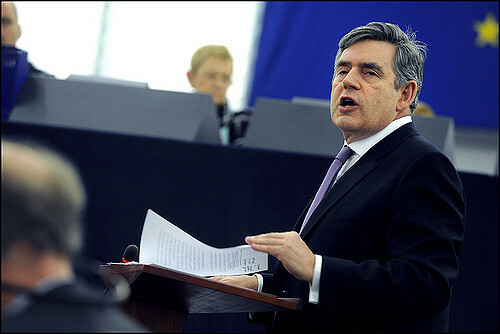 Brown is slightly on home turf, giving a speech inside the European Parliament. He was cited as ‘swinging’ the Scottish referendum with his speech before that. You don’t think this will have the same effect? I don’t think it was that sort of ‘Raging Bull’ performance. And I also think, to be more brutal about it, he doesn’t command the same degree of respect across ‘Middle England’ than he did across Scotland, as a former prime minister of the UK and a fixture of the Scottish political scene for 40 or 50 years. You mentioned staying within a single market, or certain trading relationships. There is a ‘romantic’ case at the heart of UKIP which is ‘going it alone’, a bit like kids leaving home for the first time for university – we go our own way in the world. There’s that romantic argument, so why is so much of the campaign about immigration? Well, I think the campaign is about a lot of things. The global trade opportunities are a very important part of the debate. The costs of membership and the opportunity-cost of that money – the Vote Leave talking about spending it on the NHS instead – that’s a very important part of the debate. The democratic deficit argument, national sovereignty and basic patriotism, that’s a very important part of the debate. But the impact of extremely high volumes of inward migration in a country as densely populated as the UK, and England in particular, is a very important issue, in terms of access to public services. I mean, I don’t think anyone is saying that the EU migration is predominantly welfare tourism. EU migration has pretty high labour force participation rates, but in a country like ours with a very expensive public services offer, with lots of in-work benefits, and with a consensus towards lifting the threshold for paying tax, the economics of allowing big corporations to import big numbers of people to do unskilled labour, that pays very little tax, and yet has access to the in-work benefits, the wider welfare system and public services, the economics don’t work.And clearly it’s been aggravating the housing shortage too. So I think there’s no way around the fact – and we shouldn’t look for a way around it, we should talk about it – that the levels of migration into Britain have become a serious problem for many British people, and the EU accounts for about half of that. Yes, I spoke out a few days after the [UK general] election. Really it was kind of a frustration that some of the people around him had kind of not position him as well as they might have done. I don’t link that particularly to the idea that we should talk less about immigration. I think immigration controls are a very important part of the referendum campaign. Correct me if I’m wrong, but it seems like the ‘out’ campaign is focussing exclusively on migration, and the ‘in’ campaign exclusively on the economy? No, I don’t think that’s true at all. Perhaps the Vote Leave campaigners have focused very strongly on the costs of membership, gross and net and opportunity-cost in terms of what else those resources could be spent on. They’ve done some focus on immigration but not only that. Other parts of the Brexit family have talked about immigration, that’s true, but equally, I’ve written pieces very much focussed on the economy. I don’t accept at all this idea that Alistair Darling (former UK chancellor and lead of the ‘Better Together’ campaign against Scottish independence) said the other day that Remain has won on the economy. I think that’s nonsense. And one aspect we need to talk about that hasn’t been talked about, is the exposure Britain has to the next euro crisis. If the euro goes ‘pop’, is Britain in a better position to cope if it’s either outside the EU, on a pathway out of the EU, or locked inside the EU? I think that’s a debate we need to hear a lot more about. You mention the ‘democratic deficit’ of the EU. But in the UK, at Westminster, UKIP got four million votes and only one MP, whereas here you are in the European Parliament with 22 MEPs – in some ways, isn’t this more democratic than Westminster? Well, it’s a fairer voting system. But that doesn’t make it more democratic. Because the EU is an institution where the legislation is driven by the Commission, which is unelected, and sort of mediated by the Council of Ministers, and there’s a revising function of the parliament. So, the main legislative body is completely unelected – the Commission. That’s not democratic, for a start. The second point is, even if the EU did completely democratise its policy-making process, I don’t think that would be the answer the British people want, because the British people’s primary collective identity is a national identity. For instance, we’re talking about the steel industry, and the steel crisis, in the media, and people being asked to account for it. It was all about the workers at Port Talbot. The people in Britain have no ill-will to the steel workers in the Netherlands, but our feeling of the ‘collective family’ we’re trying to look after here, is very much mediated through a moderate sense of national identity. And we’re pitching too much, placing too great a burden, at the European level, when, in face, European national identity is relatively weak. Very weak in Britain, but quite weak across other EU countries as well. For instance, you ask the Germans to pay the bills for the Greek economic failure, and they moan and they don’t want to do it. But when it was a question of the West Germans paying the bills for German reunification, they may have moaned, but they were willing to take the load, because they felt ‘We’re all Germans’. So I don’t think that a sort of ‘Liberal Democrat’ solution, if I can call it that, of completely democratising everything at EU level, and keep transferring powers to the EU, that doesn’t work. But the corollary of that is, if you win the referendum in four weeks’ time, it seems pretty likely Scotland will want another [referendum] vote and want independence…in order to rejoin the EU. I don’t agree with that. I don’t think they would leave. I think that the economics of leaving the UK, for Scotland, are now probably disastrous, with the oil price where it is. The fiscal black hole is enormous for them, and I think that’s well understood. The polling I’ve seen shows that Remain would be fairly comfortably ahead anyway. I just don’t accept that that’s where the Scottish electoral position is. But taking that Scottish example again, although that referendum was lost [for the independence side], it certainly didn’t kill off that issue. If you lose in four weeks’ time, will you keep campaigning for a second referendum? What does the margin of victory or loss have to be where you say ‘Okay, fair enough, the Brits want to stay in’? Well, I think you’ll only know what it feels like, when you feel it. When the smoke clears from the battlefield. I will believe, and continue to believe, that Britain should be a self-governing democracy. That it is good enough, and big enough, and strong enough, and inter-linked enough, to prosper outside the EU. And I will keep making the case. Obviously, one wants to win the referendum. And, if we do lose, the narrower the defeat, on balance, the more likely we are to be able to revisit things soon. But the other great imponderable, of course, is the course of events that would follow if we did lose. Would the EU take the ‘Verhofstadt’ position, that that’s the end of Britain’s opt-outs and exemptions and now it’s time to show solidarity. Is there a tidal wave of federalising legislation that’s being held back? Would they respect the profound euroscepticism that has taken Britain to this moment of actually having a referendum on membership, or would they think ‘right, we’ve called the bluff of British eurosceptics’ and put the accelerator down. On integration, what would happen to the e? Will there be a full-blown blow-up of the e soon? 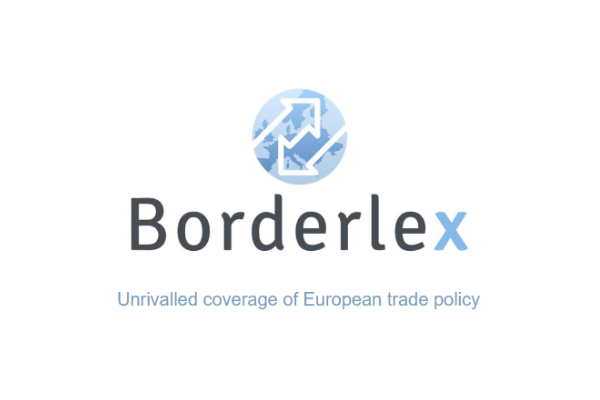 Will the e respect the non-eurozone countries when forging integration and taking key decisions on behalf of the whole EU? What will happen with migration? What will happen as regards Turkey? Will it continue to have the EU over a barrel and able to out-negotiate the EU? Will further concessions be made to Turkey that will be unpopular in Britain? So there’s a whole load of imponderables there, about how the EU would behave. Which could cast a very different light on British public opinion. And it seems, doesn’t it, that if the ‘in’ view prevails , it will be on the basis of David Cameron allegedly having protected us against further integration, and the second string of their argument will be that economically it’s better for Britain – but if the EU keeps economically failing, keeps contracting as a share of world GDP, (and) the eurozone hits more real, acute, problems, all of these things will throw that view into severe doubt. So, Britain will remain the most eurosceptic nation. People may very quickly believe that they’ve been fooled, lied to. It’s quite possible that we would be back again, into a second referendum. You went from being a political journalist to being an MEP – now, which actually has more power? Well, I was political editor of the Daily Express, then I became the chief political commentator for about seven years, before I then briefly became UKIP’s communications director, whilst also being the candidate in the East of England European election – with a view to pushing for a referendum, then trying to win it. So we’ve got quite a long way down the path, but the biggest fence is yet to be cleared. Which is more influential? Well, it kind of varies. I still do quite a bit of journalism, mainly for the Daily Express, now in blogs. I’m very privileged now to be paid full-time to argue for the cause in which I believe, and which is more influential – I don’t know. Yet the irony is you’re effectively arguing for people to vote you out of a job. If we leave the EU, there will be no more UK MEPs, let alone UKIP ones. Yes. Absolutely. I knew that when I came in and absolutely right. As it happens, as everybody knows , a ‘leave’ vote doesn’t mean Britain leaves the EU tomorrow. So there will probably be a period of two to perhaps even three years to the end of the mandate, the end of the parliamentary term, but that will be it. No more UK MEPs. But I didn’t make that choice to leave journalism to become a full-time career politician, it was very much focussed on securing the referendum, and then trying to win it. And I must say, securing the referendum has happened faster than I thought it would.